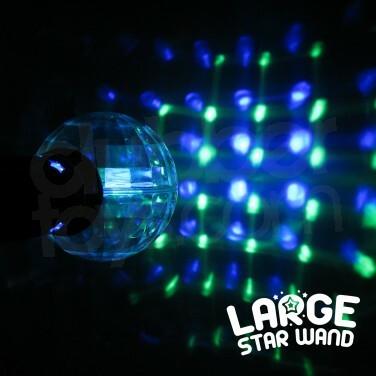 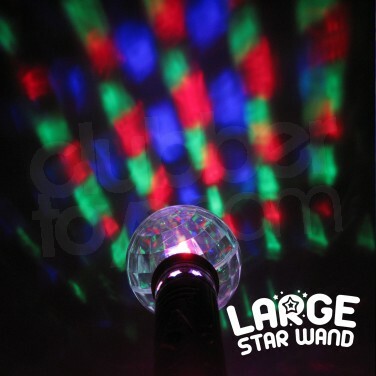 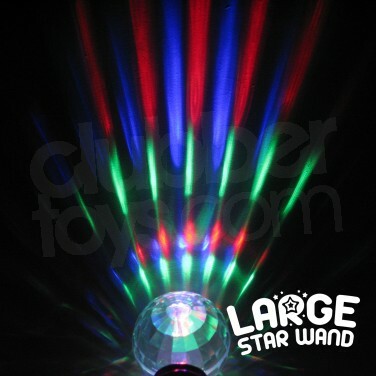 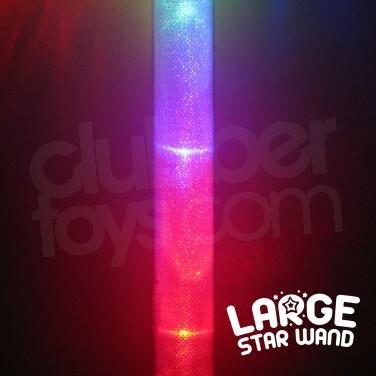 At a whopping 53cm long, this striking flashing star wand is lit by multi coloured LED's along the stem, out of the star and the disco ball to the base in three funky modes; strobe, sequential and fade. 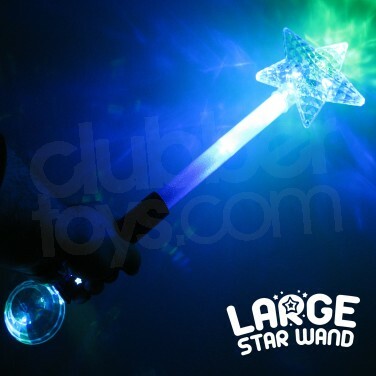 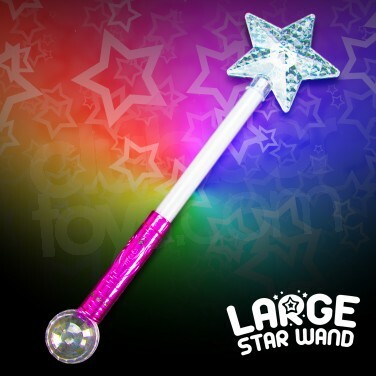 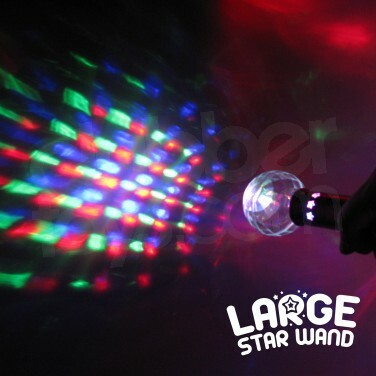 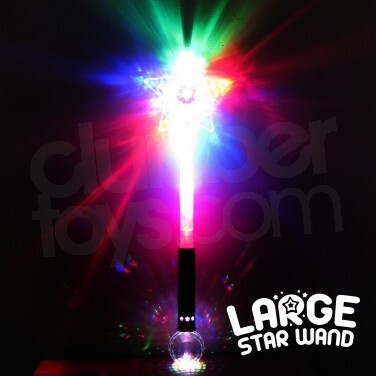 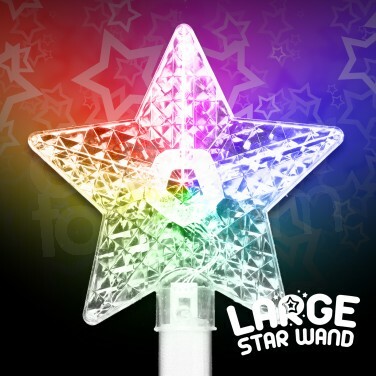 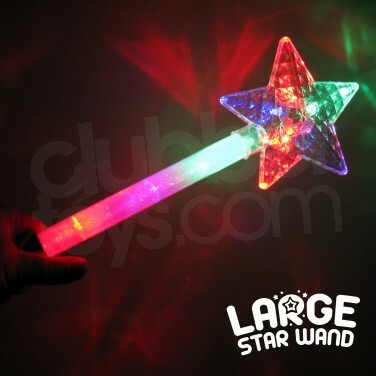 Super bright and super fun, this magical star wand is ideal for parties, fancy dress and girls nights out! 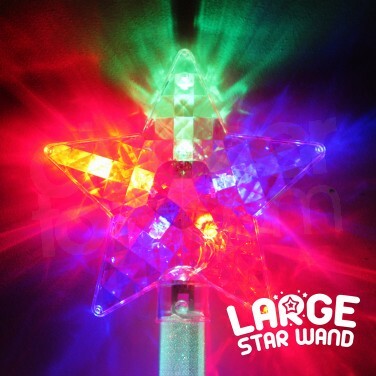 For larger quantities see our Large Flashing Star Wand Wholesale section.